Keith Colin and Liane Webb have founded Sustainable Sussex to run projects which enhance community life, including meaningful connection to the land and growing. 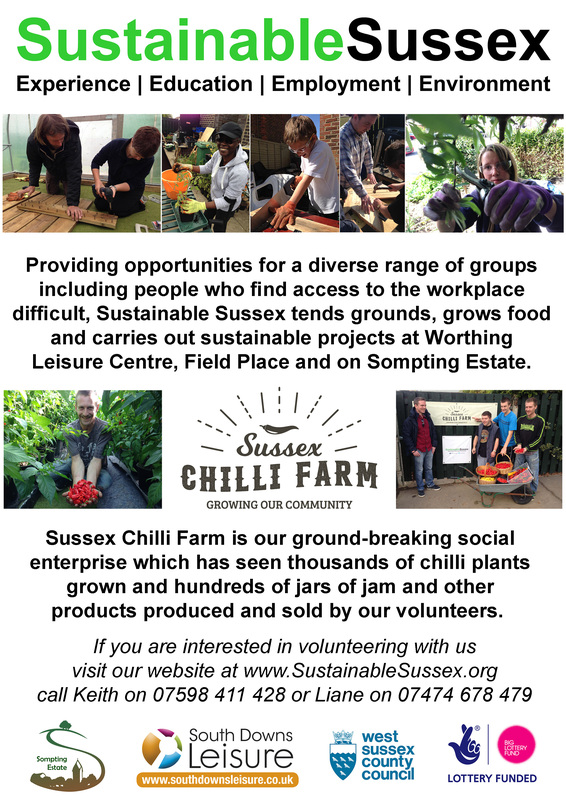 Keith and Liane are moving their Sustainable Sussex base to Sompting, in partnership with Sompting Estate, starting with its Sussex Chilli Farm. Already at the June 2017 Sompting Festival, Sompting people have been sharing ideas and enthusiasm to volunteer with Sustainable Sussex and be part of this project. You can contact them via their website: just click on the logo below.